So early for Christmas! I feel like I need that Bah Humbug pin to wear every day through Thanksgiving, then take it off on Black Friday when celebrating Christmas is actually appropriate! mickeymousje, pincrazy, TammyH and 6 others like this. Oh man! 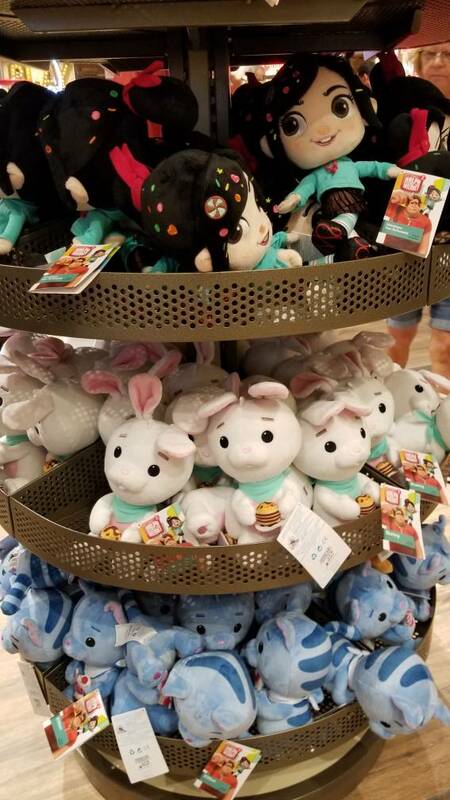 First sighting of the WiR 2 merch! Bet the pins will be here soon!! The Vanellope is so cute! Gah, I hope all the new merch that's been coming out (like the '90s stuff) will stick around a few more weeks...There are a few things I'd like but I can't really shop for them quite yet. Hot Topic has had the Funkos for at least a month now! Someone on IG snagged a WIR2 princess mystery box. The CM told them they sold out but that more will likely be released tomorrow. Oh shnikies. I went everywhere and didn't see any today. Was that at DLR? The Vanellope Mystery Pin Set that’s supposed to be a November release? Or a Funko mustery Figure Box? The You’re My Hero set is adorable! LE 4200 and OE. You're probably safe. If anyone wants to buy that box set and doesn't want the Wishes pin (with Genie's hand) I'll chip in for it. Same for me and the sandwich pin!! My Hans collection has a MIGHTY NEED. You got there first... That pin made me smile! I just bought the set, the genie pin is yours if you still need it. Ooh is the sandwich pin available? that one is hilarious! I’ll check with my pride, if they don’t want it yes it’ll be available. cadien, watzshakinbacon, Tokaji and 1 other person like this. "Accessories include: Jasmine's inhaler, Cinderella's broken slipper, Aurora's mug, Moana's coconut drink, and Snow White's glasses". Wait... since when did Jasmine need an inhaler and Snow White need glasses? "Hold your breath, it gets better"
Stix1800, DoReMarie, raikipins and 2 others like this.